Despite popular belief, the signs of abuse do not always come in the form of bruises and broken bones; sometimes, abuse can result in emotional distress, fear, feelings of inadequacy, and dependency. The latter type of injuries is the result of emotional abuse, which is just as damaging as physical abuse, and just as frowned upon by family courts. Unfortunately, however, emotional abuse can be difficult to prove, as there is no physical evidence of it—just one person’s word against the others. If emotional abuse can be proved, though, it can significantly impact the outcome of both the divorce proceedings and child custody. How is “Emotional Abuse” Defined? Emotional abuse is defined as the tearing down or belittling of another person (in this instance, a spouse, child, or both) through one’s words, actions, and behaviors. The guilty party may be verbally abusive, insulting, or manipulative. The abuser may not feel any remorse in using the children as pawns in the divorce, or in manipulating them so that they come to fear, distrust, or dislike their other parent. Emotional abuse does not have to be constant in order to be considered abuse; their mood can shift from good and happy to manipulative and demeaning at the flip of a switch, which is just as harmful, if not more so, as constantly abusive tendencies. Unlike with physical abuse, emotional abuse cannot be proved with photographs, medical records, or eyewitness testimonies. Rather, the judge must rely on his or her own discretion when hearing each party’s testimony. That said, there are some things that you can do to help prove emotional abuse, including keeping records. Most victims of emotional abuse are not aware of the abuse until well into their relationship, which is why it is completely understandable if you do not have any records from your earlier years together. That said, when you do begin to notice the abuse, make note of occurrences in your calendar or a personal diary. Continue to keep track of the abuse throughout the duration of the divorce process, as that is likely to be a time when the abuse is more prevalent. If your abuser will not leave you alone, file for a restraining order. If he or she violates the order, report them. Though a restraining order is one of the most definitive forms of evidence of emotional abuse, you do not necessarily need one to prove abuse. If the other party harasses you by phone, keep a record of the call logs. If their text messages to you are belittling or of a harassing nature, print them out. Keep all the evidence that you can, as it could serve to help you later in court. Because Florida is a no-fault divorce state, a judge cannot place blame on any one spouse for the disintegration of the marriage. However, he or she can take the record of abuse into account when dividing up assets and considering a child custody arrangement. 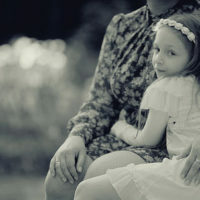 An emotionally abusive parent is not likely to be deemed a good “role model” for a child, and is therefore not likely to receive much, if any, alone time with them. Depending on the extent of the abuse, who it was directed at, and how it impacted the victim(s), the judge may decide that the victimized parent gets primary or sole custody. This is the main reason that it is imperative that you keep record of the abuse and share it with your Fort Lauderdale child custody attorney. If you are the victim of emotional abuse, reach out to the divorce attorneys at the office of Edward J. Jennings, P.A. for the help you need at this difficult time in your life. We will work hard to make sure that your child spends all or most of his or her time with you and that you are justly awarded for your pain and suffering throughout the duration of your marriage. To schedule your consultation today, contact us online.